Digital printing professionals throughout the US know that Ultraflex Systems is the media supplier they can trust and rely on for any type of digital media for upcoming branding, advertising and marketing campaigns. Along with exceptional indoor and outdoor banner and billboard materials, the product lines at Ultraflex Systems include printable carpet, home décor canvas wraps, wall coverings and other unique PVC, canvas and specialty substrate wide format media. Ultraflex Systems has a wide-variety of media in our Specialty Materials and VorTex Textile Lines that are ideal for use as wall coverings and home décor canvas wraps including Wallscapes Wallcovering flexible digital materials that meet Class A, Type 11 ASTM E 84-03 standards, repositionable and removable FabriTac adhesive fabric that’s certified for use with HP Latex ink and MultiTex S285. Our media specialists at Ultraflex Systems are proudly recognized as the experts in the industry and can provide unparalleled customer service and technical support. Clients in the US and abroad can count on our team for everything from product samples and media selection recommendations to printing and installation instructions and guidance. Our warehouse managers maintain an inventory of more than 100,000 rolls of printable carpet and other media in our five North American warehouses to ensure media is always in stock and ready to ship quickly. 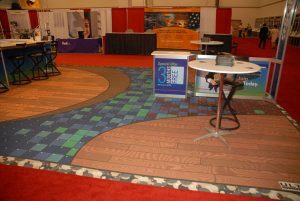 Contact an Ultraflex Systems associate today to request media samples and/or quotes on any of our materials. Our entire team looks forward to serving you and your company or organization.